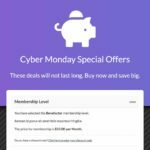 This add on for Paid Memberships Pro adds a printable, customizable Membership Card for Paid Memberships Pro members or WordPress users. 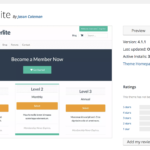 The plugin adds a new shortcode which assigns a page as the Membership Card page. The page containing the shortcode will display the membership card and a link to print the membership card. You can also set the page’s featured image, which will be displayed on the membership card. If Paid Memberships Pro is activated, then only members will be able to view the membership card. If not, the card will show for all WP users.